While I’m thrilled about the current renaissance of Western boots (I wear them all the time, every year, whether their a trend or not, but it’s amazing to find such a huge selection in stores now! 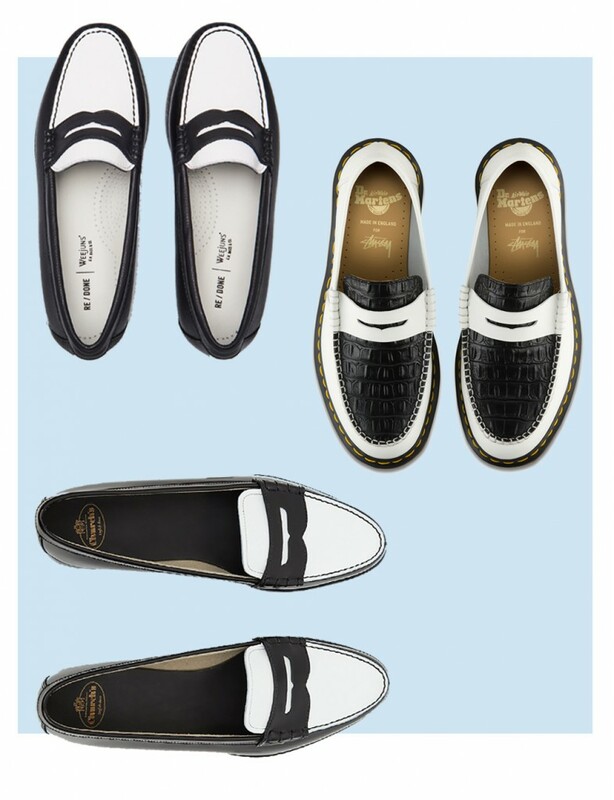 ), there is another shoe trend which has caught my eye: black and white Penny loafers. I think they look just as amazing worn with vintage blue jeans as with mini skirts or dresses. I’m loving the Re/Done x Weejuns collab but I’m equally smitten with the chunky, more masculine version by Dr. Martens x Stüssy.